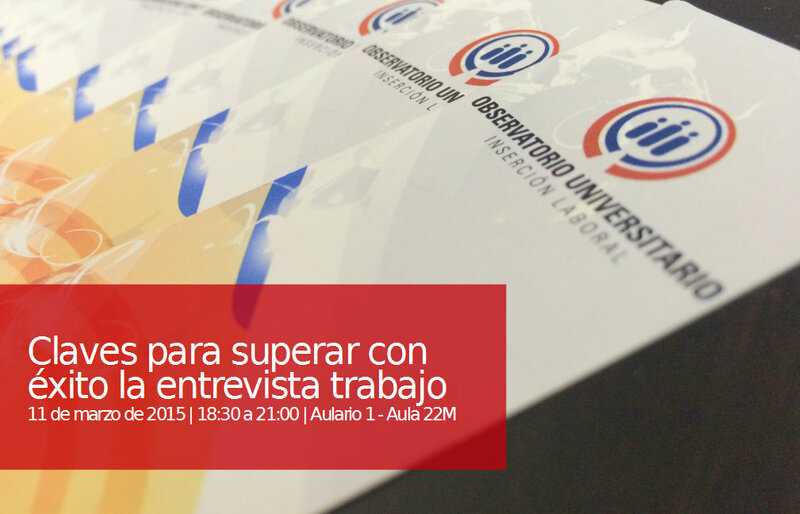 Within the framework of the program improving your employability, next March 11, 2015, from 18:30 to 21:00, in the Lecture 1 - classroom 22 M, will conduct the session keys to successfully overcome the interview work. There are no magic recipes or infallible tips to successfully interview job. what we can do? the answer is prepare well!, get to know yourself, be aware of our weaknesses and turn them into opportunities for learning are basic principles to face an interview. It is session will be given by Elena Soliveres Sanjuan, Coordinator of the area of entrepreneurship, training and human resources at BIC Alcoy. Degree in Sociology from the University of Alicante and Master in management of human resources by Fundesem. Specialist in business management by Fundesem.